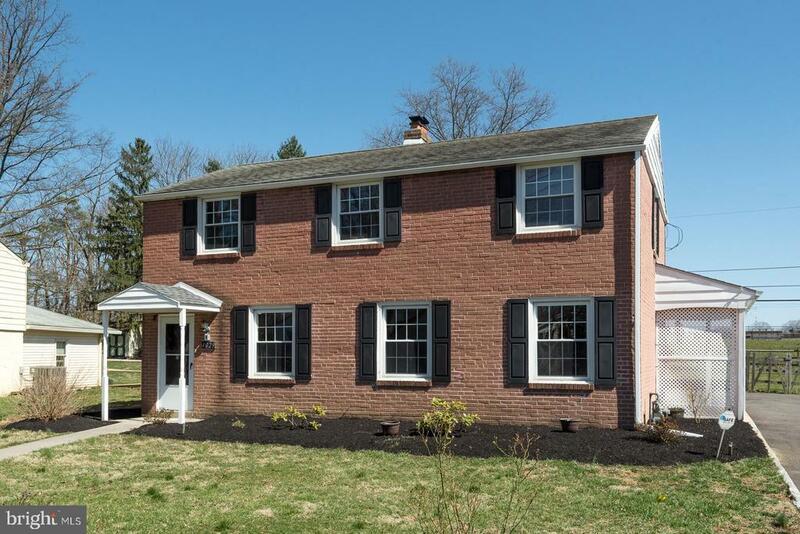 Modern and remodelled 2 story brick colonial tucked away in a quiet corner of Whitemarsh, Plymouth Township. Large open concept living and dining room complete with a fireplace and lots of natural light in a neutral color pallet to flatter all decorating tastes. Beautiful tile floors in the kitchen compliment the stark white cabinets, stainless steel appliances and contrasting black granite countertops. Laundry and storage conveniently located adjacent to the kitchen which leads to the side entrance to the house. Upstairs there are three nicely sized bedrooms with ample closet space that have been freshly painted and boast new carpeting. Enjoy the upcoming warm weather on the side porch or in the large fenced in yard. One of the best lots with oversized garage in the neighborhood. Great location that is close to shopping, dining, walking to all schools and major roadways!! Make this house your home!